New guitar giant delivers giant of an album. 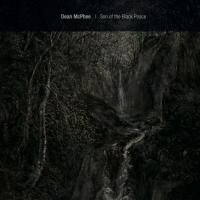 The follow-up to English guitarist Dean McPhee’s 2010 Brown Bear EP, Son of the Black Peace is as devastatingly beautiful as Michael Chapman’s Fully Qualified Survivor, the best of John Fahey, John Martyn, and the most meditative lines Richard Thompson has ever played. McPhee favors expansive compositions that have been called meandering but are too well realized and beautiful to be considered anything less than inspired sojourns for both listener and performer. The comparisons to other guitar greats will wear off in due time -- McPhee is too good not to be recognized as the magnificent talent that he is. Listen to the four compositions here -- although they are separate entities, it seems senseless to single any of them out, an act that would be like isolating one Faulkner sentence or one note from Beethoven. You’ll discover exactly how great McPhee truly is.